Sean Rowlands has carried out research in Ecuador, Macedonia, Myanmar and London with enthusiastic curiosity which he now brings to City. He studied cultural and political analysis of Latin America at Leiden University in the Netherlands. 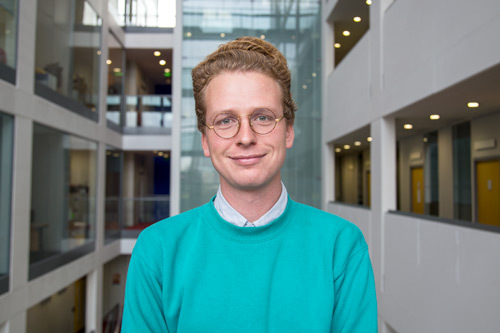 He also has a passion for film and audio documentaries which stems from his research interests and he has produced such content out of the projects he has worked on for the EU and other organisations. Sean also worked as a grants officer and copyeditor for the Prince Claus Fund, a world renowned organisation which funds arts, culture and development projects across Asia, Africa, the Middle East and Latin America. Part of this involved facilitating events that helped develop skills and networks PCF grantees at the forefront of their field. Similarly, he hopes to help to build up research skills for researchers at City. Above all he aims to support the City Law School researchers in building up their capacity and success in carrying out varied, novel & impactful research.